This week, on Episode 148 of The Verbal Mosh, we review Action Comics #5 (a re-telling of the origin of Superman. Hrm? Shouldn't the origin have been in the first issue? ), Animal Man #5, Lil Depressed Boy #8 (Dang, that boy is depressing), Swamp Thing #5, Sweet Tooth #29, and Uncanny X-Men #4. 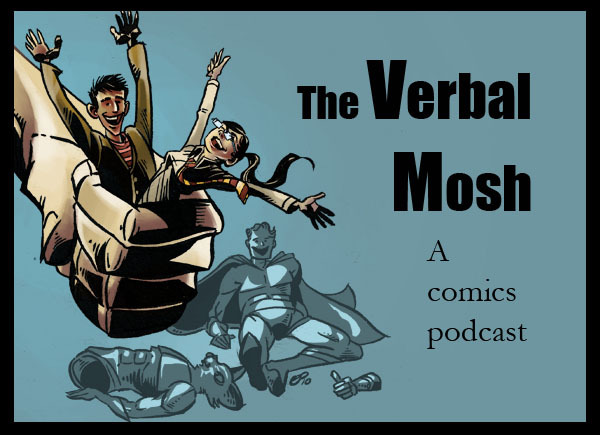 The Verbal Mosh Ep. can be found here. "Some like it hot. Some like it cold. Some like it in the pot, nine days old."